Sip on your favourite magical ice cold beverage from these unicorn party cups. 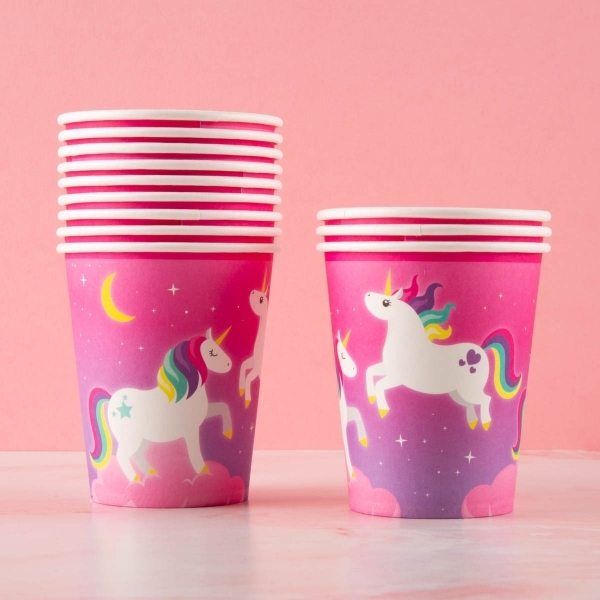 Each cup has an adorable unicorn and sparkles design that girls of all ages will love. 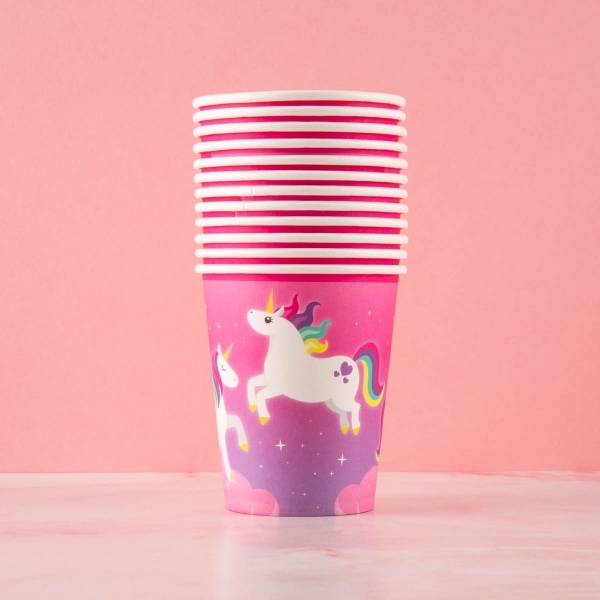 Why not complete the set with our matching unicorn paper straws? Click here to shop.